Our Kansas City-based skin rejuvenation center offers the latest breakthroughs in skin and wrinkle treatment without surgery. The Center is run under the direction of Hannah Vargas, M.D., FACS, who guides her patients through the hype of the medical cosmetic industry and devises specific plans to meet their particular concerns. 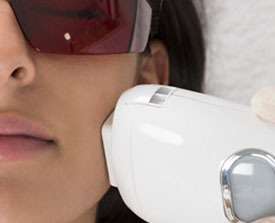 From BroadBand Light Therapy to Laser Facial Peels, SkinTyte treatments and Hydrafacials, Dr. Vargas offers her patients a full range of facial rejuvenation procedures. Her approach is through a woman’s perspective, performed with great precision. At Vargas Face and Skin, we offer a broad range of medical spa services including facials, laser hair reduction, hydro-facials, medical grade chemical peels and photo-facials. We have the most effective laser hair reduction machine on the market. And our six month facial rejuvenation series is designed to get you back on track to new and improved skin. Our staff includes dedicated professionals who perform in-depth skin analysis, facial treatments, minimally-invasive facial peels and laser treatments. Affecting nearly 45 million Americans each year, acne is the most prevalent skin condition in humans of all ages. Acne typically develops where there is an abundance of oil glands like the face, chest, back and neck. At Vargas Face and Skin Center, we are able to determine the appropriate course of treatment that is specific to each person’s unique needs. Rosacea is characterized by persistent redness and breakouts on the central areas of the face, typically affecting the nose, cheeks, forehead, and chin. Though there is not a known cure for rosacea, many have seen positive results from medical therapies coupled with cosmeceutical products and professional treatments. An impaired barrier leads to constant moisture loss. Dry, flaky skin becomes common. Visible redness becomes a sign of underlying and superficial inflammation. Blood vessels become larger and therefore more visible. 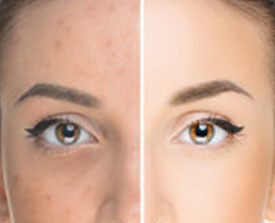 Hyperpigmentation is described as areas of abnormal darkening of the skin. This darkening can either be one spot or large, patchy areas, depending on the cause. This condition is a result of inflammation and can be triggered by sun exposure, hormone fluctuations or skin injuries (acne lesions, cuts, burns, etc.). Inflammation caused by sun exposure, acne, hormonal shifts, etc. Packets of pigment travel from the melanocyte to the skin cells. The pigment is distributed like an umbrella to protect the skin cells’ DNA from damage. Either one small dark spot or a uniformly darker area emerges. Commonly found on the nose and cheek areas, these small red or pink “threads” (telangiectasia) are part of the extensive vein network that carry the blood supply of the face. When the walls of these tiny veins weaken, the vessels are much more visible. Wrinkles are a natural part of aging, but they’re most prominent on sun- exposed skin,such as the face, neck, hands and forearms. Although genetics and skin type are important determinants of skin structure and texture, sun exposure, smoking and nutrition are the major contributors to wrinkles. Collagen and elastin break down and their production decreases. Fine lines and wrinkles appear due to a lack of collagen and elastin support. Cell turnover rates and hydrating components decrease, leading to dry, flaky skin. Sun-induced skin discolorations often occur. Let Vargas Face and Skin assist you with all of your personal skin care needs. 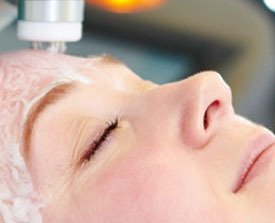 We will guide you to the perfect product or service that gives you a glowing, youthful and refreshed look. Find out which skin treatment is right for you!